Mitchell joined Zest in 2011 after completing a Bachelor of Commerce at Griffith University (majoring in Finance and Economics). As part of his ongoing professional development he has also completed a Graduate Diploma of Financial Planning and is expected to finish his Masters in Applied Finance in 2015. 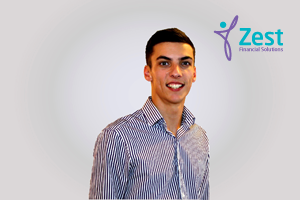 During his time with Zest, Mitchell has adapted to a number of roles which now sees him working internally within the business and in contact with clients. In his spare time he enjoys playing golf, jet-skiing and photography.